Hi Everyone! Happy Sunday! 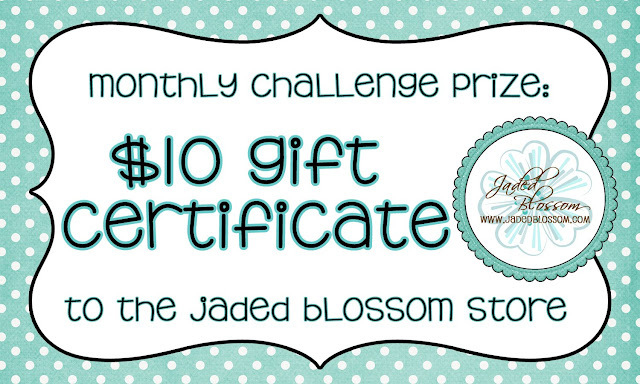 Today is the first day of the Jaded Blossom Monthly Challenge! It is to make/create a "Valentine Theme " Project. I created this cute little Valentine!! For the sentiment I used Jaded Blossom's"Funny Valentine" and I stamped it on the small flag die from Flag Die 2. For the bottom of the hershey kisses I used Jaded Blossom's "Valentine Candies". 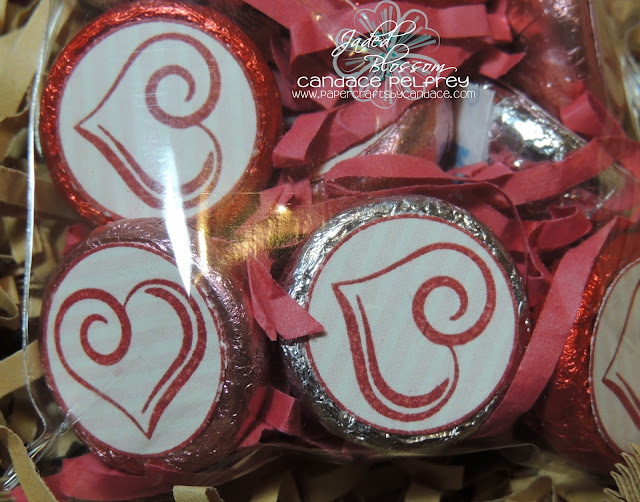 I also used the Fancy Topper Die for the topper and the 3x4 inch clear bags to put the kisses in. 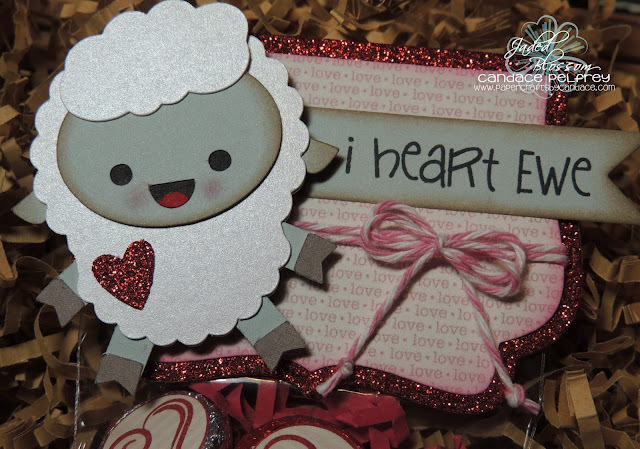 This CUTEEEEE Sheep is from SVG Cutting Files! AND its a FREEBIE!!!! The twine is Trendy Twine's "Tickled Pink"
Thanks so much for checking out my project today! Make sure to head over to Jaded Blossom to see what the rest of the Jaded Blossom team created!!! This is such a cute projects...love the papers yo used and those hearts on the candies... TOO CUTE... FAB job!! 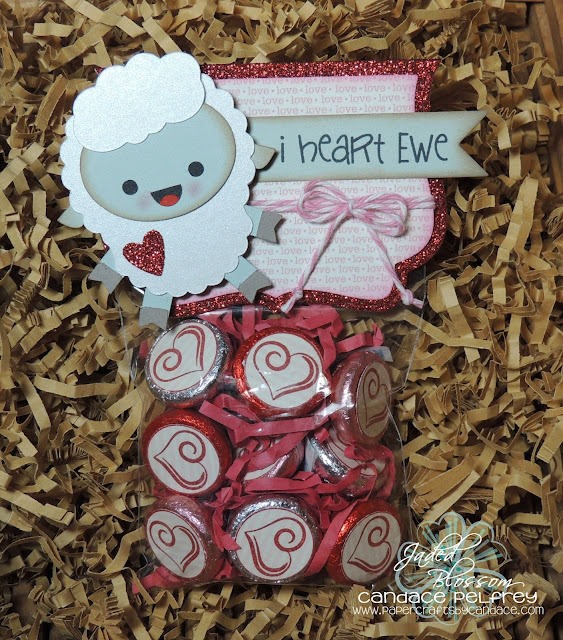 Your little lamb is so sweet! Such a n Adorable Treat Bag. Love it. Aaaw, what a sweet treat favor! I love the sparkle and the lamb is so darn cute! Love this little lamb! And of course love all the glitter! I just love that little lamb! So cute! That lamb is too cute! What a cute little lamby pie! I love it!